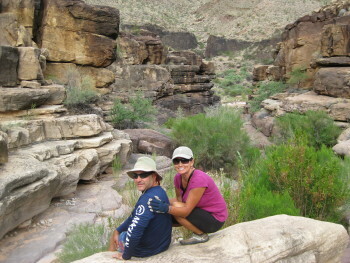 Our Grand Canyon "epic" adventure was fabulous from start to finish, a great summer vacation idea. My husband and I found this trip exceeded all our expectations as far as being extremely well organized, having friendly and knowledgeable staff at every location, and providing us with an adventure we will never forget. We can't help but smile when looking back at the photos we took from a plane, during our stay at Bar 10 Ranch, from a helicopter, and ending with the rafting, hiking and camping in the Grand Canyon. The staff at Bar 10 Ranch was fabulous and made us feel right at home. Our guides on the Colorado River were remarkable and were what made the trip so extraordinary. The Grand Canyon was beautiful during the day and night which is why I brag how we didn't just "see the Grand Canyon" but got to "experience the Grand Canyon! This was the best vacation ever! !